Here is the list of the 20 riders who confirmed their wish to attend the YOGi Velodrome trip on Sunday 7th October. 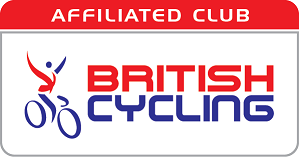 The cost for the trip is £42 and which includes 4 hour Velodrome hire, an accredited coach to lead the session and individual bike hire. We have a 4 hour session booked from 12noon to 4pm with the intention to split in to 2 groups and rotate at regular intervals. While one group is on the track the other group will be watching. I’m pleased to confirm that this fits perfectly with the all but equal split of novices and intermediates above. Meeting at YOGi HQ for a 9am depart. We will leave in Convoy, therefore I’m needing 5 volunteer drivers please? I confirm that I can be a designated driver and take 3, at push 4 passengers. Peter Grzelinski is also able to take 4 or 5 passengers. So this leaves us needing another 3 designated drivers. If you can drive, please let me know. For the track session you will need to wear cycle kit. Gloves are mandatory, cycle shoes with LOOK KEO / Exustar Look KEO compatible cleats, and a helmet. The velodrome will provide helmets with bikes but for comfort we suggest you bring your own. Obviously on top of this you will need food and drink and a towel etc, showers are available. There are vending machines in the velodrome and a cafe in the nearby leisure centre but can’t comment on what it offers. **IMPORTANT – CLEATS** The velodrome bikes are fitted with Look KEO pedals – not Delta’s for those who have been before!! The pedals cannot be removed so you’ll need to fit KEO cleats to your cycling shoes for the day. These can be purchased online or through one of our LBS’s. I suggest the Exustar Look Keo cleat, which is less expensive than the official Look Keo cleat. Used these for many years, including their pedals and are excellent quality. This should be a great day out and an awesome opportunity to experience the thrill of Track Cycling. Evening all, I’m looking to jump in a car with someone, happy to chip in with costs, travelling from Plympton. Anyone available? Hi Alex- Matt Jackson has pulled out and I’ve not managed to find a replacement- perhaps Dave can take his spot? Dave Elliot no longer up for it?